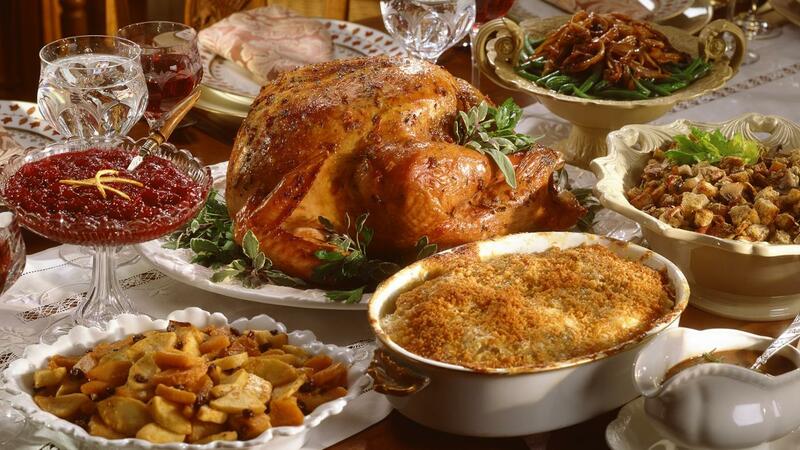 What Are Some Easy-to-Make Side Dishes for Thanksgiving? Easy side dish recipes for Thanksgiving dinner include cornbread stuffing, basic stuffing, green beans and mushrooms, sweet potato casserole, and congealed cranberry salad. These recipes use ingredients that are readily available at grocery stores, and preparation time is typically under 30 minutes. Southern-style cornbread dressing requires 6 cups of cubed packaged cornbread, a large Vidalia onion and fresh sage leaves. First, cook the onion until light brown, and then cook the cornbread, sage leaves and eggs, transferring the mixture to a baking dish. Make a simple, basic dressing by combining chicken broth with onions, celery and seasonings in a pan, cooking until the vegetables are tender. Stir in 4 cups of packaged herb stuffing, and mix gently until the stuffing is thoroughly moistened. Green beans and mushrooms nicely complement one another. To make this side dish, place a bunch of fresh green beans into boiling water, and blanch to desired tenderness. Meanwhile, saute sliced, fresh mushrooms in butter, and gently toss with the green beans before sprinkling french-fried onions on top. Sweet potato casserole is made with mashed sweet potatoes and layers of crunchy cornflakes cereal, chopped pecans and miniature marshmallows. Cranberry congealed salad serves as a lovely centerpiece dish, and features fresh cranberries, pineapple and pecans in a raspberry gelatin mold. What Are the Best Ingredients to Use in Quick, Easy Casserole Recipes? How Do You Make an Easy Spinach Salad Dressing? What Are Some Good Vegan Stuffing Casserole Recipes? What Are Some Recipes for Broccoli Cranberry Salad?